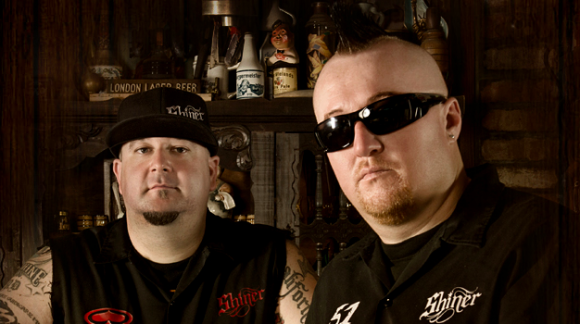 Get ready for another party with the Moonshine Bandits. I like checking in on Average Joes and acts like the Moonshine Bandits once in a while. Country radio won’t touch them and that’s country radio’s loss. I think the entire roster at Average Joes does some really cool things and the Moonshine Bandits have grown a really big fan base with their breed of country. Here is their latest release, Throwdown. The boys stick to their familiar formula of rapping about the things they know best. That includes booze, women and having a good time out in the mud pits and the fields. These guys make anthems for all the kids out there looking to have fun on the weekends. They grab their souped up trucks with big tires and hit the pits. There is always plenty of energy and plenty of fun going on at those things. It’s a throwdown and the music they listen to is the Moonshine Bandits. This track is pretty catchy. You have another Average Joes act, The Lacs, providing the chorus and it’s a catchy hook. You might even catch yourself singing along to it if you listen a few times. It’s a solid addition and I’m sure that fans of the Moonshine Bandits have been playing this one. Good song is you’re looking for a good time. Years ago I was doing a search for some country songs about moonshine… and came across the Moonshine Bandits. From there I was introduced to a whole other form of music I didn’t know existed. Some folks might call it Country Hip Hop… others will simply say Hick Hop. Whatever your preference… this genre of music is steadily gaining recognition. It rocks… it raps… and it’s countrified! Who doesn’t want to “Throwdown” to it? Excellent write up Dayne… keep up the good work!